Looking for the perfect location for your luxury winter holidays? One great location is the village of Zermatt in Switzerland. It is the perfect combination of daytime sports and adventure with evening glamor and luxury hotels. 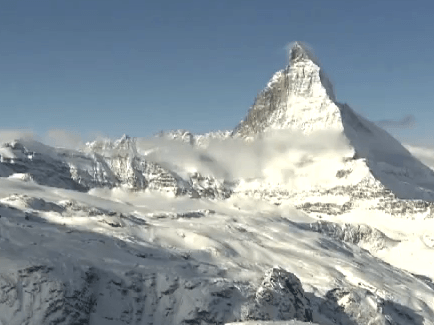 Here is a 23mn video that shows the beautiful surroundings and the excited village of Zermatt. Two beautiful hotels should be highlighted: The Grand Hotel Zermaterhof and the Mont Cervin Palace. These 2 beautiful hotels are the leading top class hotels around there. If you choose the Grand Hotel Zermatterhof, you will discover a beautiful place originally created in 1879. Enjoying a central but peaceful location, this traditional luxury establishment offers both classic elegance and all the comforts of modernity in equal measure. The individually furnished rooms and suites afford magnificent views of the mountains. Most rooms even offer views of the Matterhorn. For the ultimate in luxury, the hotel’s new wellness zone “Vita borni” features a spacious pool, a sauna landscape, treatment rooms and a private spa for couples. 84 rooms for a cosy and elegant experience. Check the hotel website here: http://www.zermatterhof.ch. 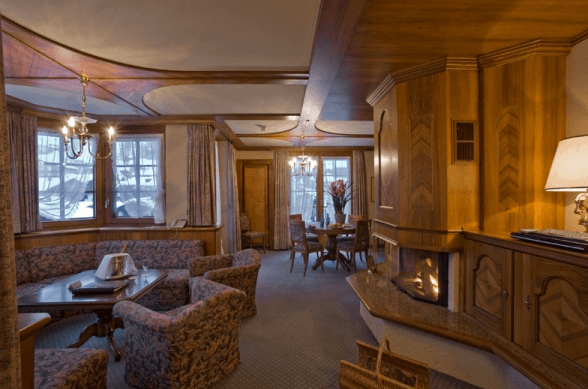 Another great possibility for a calm and luxury journey in Zermatt would be the Mont Cervin Palace. It was opened in 1851. It is situated in the heart of Zermatt, 300 metres from the train station. You can find relaxation in the pool and in the 1,700 m² wellness and spa area and indulge in a wide range of beauty treatments. Most of the guest rooms are facing south and have a balcony or a patio with views of the Matterhorn. A few of the junior suites and suites come with a jacuzzi or an open fireplace. Wireless internet is available in all rooms free of charge. 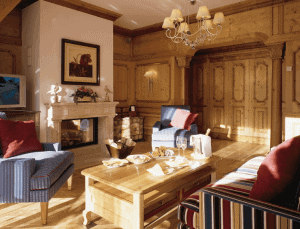 Check this palace website for further information: http://www.seilerhotels.ch/en/mont-cervin-palace. So if you wish to join sportive and healthy holidays in the mountains with high-class service, then, Zermatt is for you. Just enjoy the swiss way of luxury and you will be seduced. Victorinox Brand store at 3100m – Gornergrat, Switzerland.